The girls took it easy most of the morning. We did try to go walk around the lagoon by the library to play with the bubble wand that we got, but it was way to cold. We came back and did some homeschool worksheets with LOTS of complaining. I have decided that we are done with homeschool worksheets for a long time, they did them too much in normal school. Unschooling is all about learning with the resources around you not doing what normal school kids do. 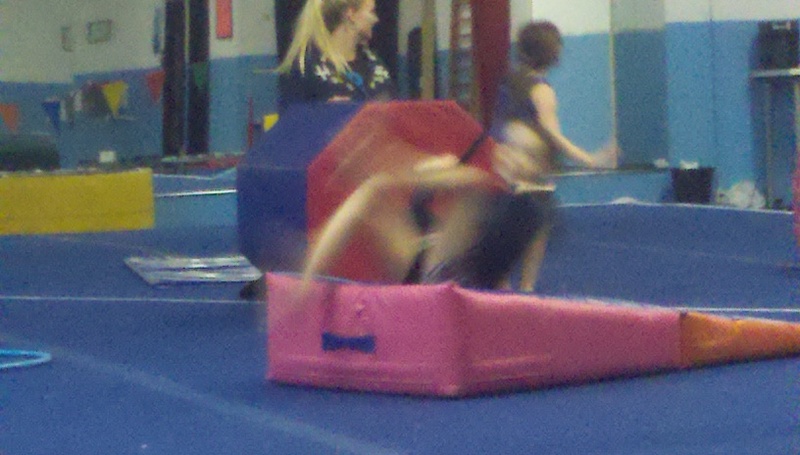 These are very blurry pictures of the girls doing gymnastics – They started last night…. 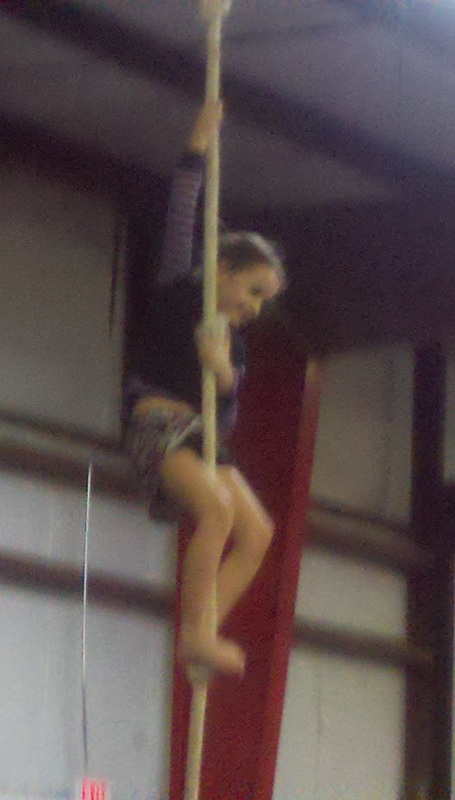 The funny thing is at one point they were hanging on a bar, and they had to keep their feet off the ground and chin above the bar and hang on till one dropped… Belle won twice, but Mac made it all the way up to the ceiling when she climbed the rope. 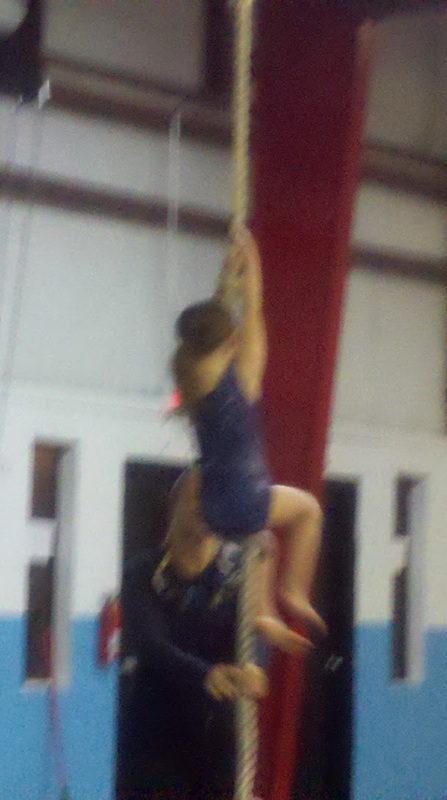 Belle could only make it to the second knot. Mrs Jamie said they did really well for their first time and maybe with in a year or so we can start competing – that is still under discussion they have a long way to go…. 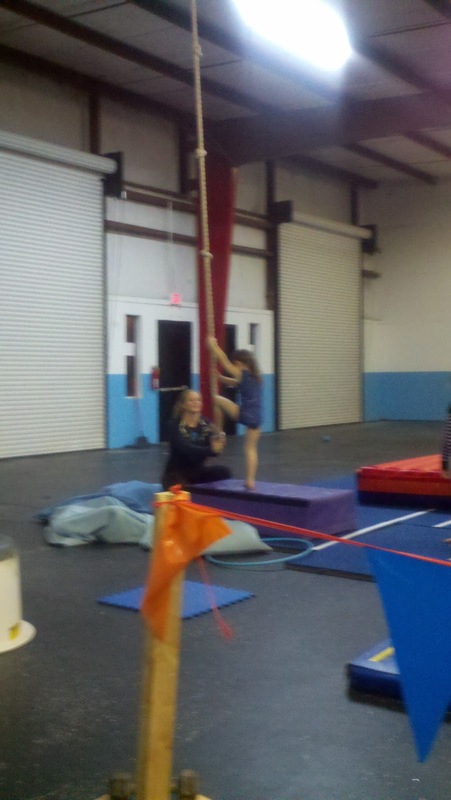 This entry was posted in Unschooling and tagged first day, gymnastics, hand stand, kart wheel, new friends, tumbling by Chrissie. Bookmark the permalink.